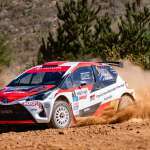 Toyota Gazoo Racing Australia couldn’t have wished for a better start to their CAMS Australian Rally Championship (ARC) season, with Harry Bates and John McCarthy winning the first heat of the Make Smoking History Forest Rally. Bates and McCarthy had a near perfect start to the opening round of the ARC, with the duo claiming all but two of the heat’s 10 stages in their new Toyota Yaris AP4. 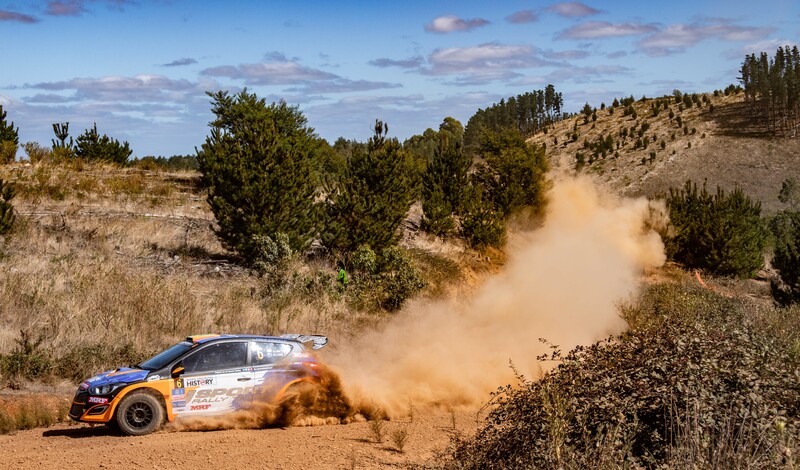 Teammate Lewis Bates and co-driver Anthony McLoughlin finished second in their first outing in the Yaris, while Maximum Motorsport’s Tom Wilde and Madelin Kirkhouse rounded out the top three – which included a stage win on the first run of the Nannup Oval stage. Cross-entered into the CAMS West Australian Rally Championship (WARC), Wilde and Kirkhouse’s strong start sees them in the lead of the state round. 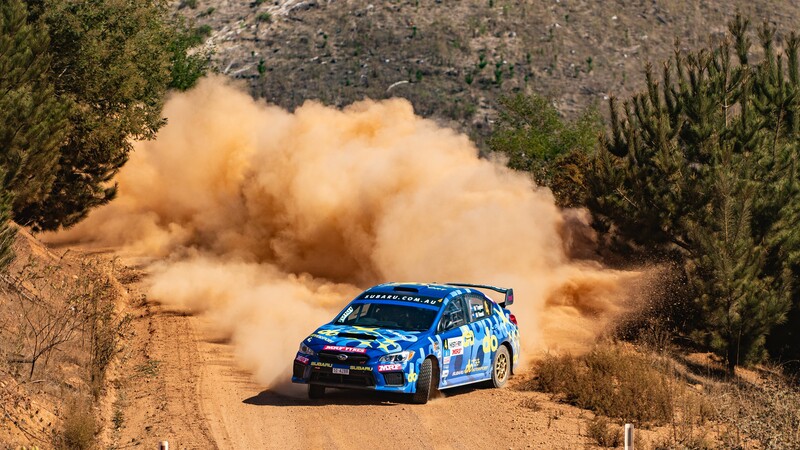 It was a consistent start to the year for Subaru do Motorsport’s Molly Taylor and Malcolm Read, 56 seconds behind first-placed Bates and only five seconds behind Wilde. New to the ARC in 2019, Activ Rally Sport’s four car team had a mixed day of results, with J Sport’s JJ Hatton and Nathan Long suffering mechanical dramas in their Hyundai i20 early on. Shamrock Haulage’s Richie Dalton and Dale Moscatt’s Ford Fiesta were hit with a battery failure and were unable to complete the heat. Western Victoria Crane Trucks’ Darren Windus and Daniel Brick were the best of the four car outfit in their Subaru Impreza WRX, sitting in fifth overall – two minutes behind Taylor. Up and Go Emergency Tyre Repair’s Troy Dowel and Simon Ellis battled through the day, with the young gun putting in an impressive showing in eighth. 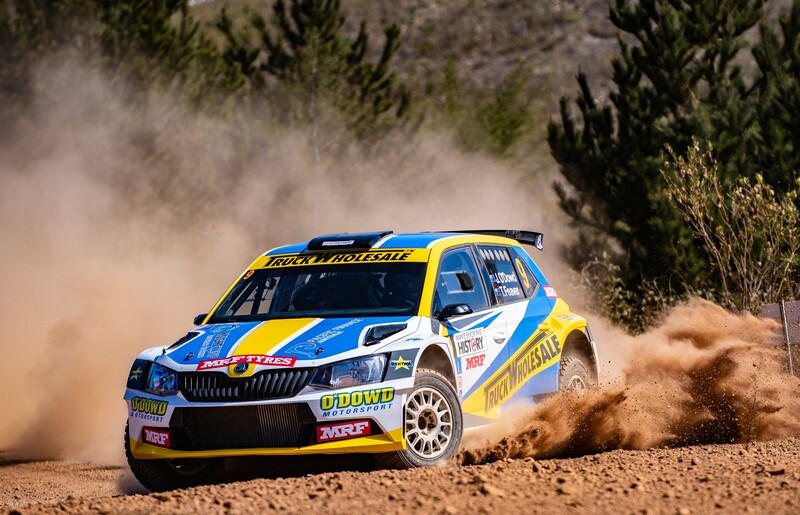 Truck Wholesale WA’s John O’Dowd and Toni Feaver finished sixth of the ARC runners in the 2018 Championship winning Skoda Fabia R5 and sit second in the WARC, while Luke Anear and Steve Glenney were four minutes down the road in seventh. Haowen Chu and Caleb Ash were once again able to complete another heat in full, with their Hyundai Lantra 24 minutes behind Bates in ninth. Teams can reset this afternoon, with heat two to begin on Saturday night with another run of the Trade Hire Busselton Super Special Stage, before a further eight stages in the forests of Nannup on Sunday.